Since May last year, Hamburg has banned diesel vehicles on two busy streets. Yet, the desired effects are missing, reports the German daily Die Welt. 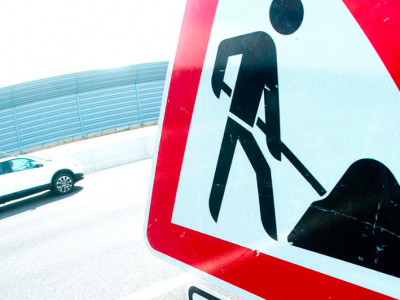 Traffic restrictions in Hamburg are valid from May 31, 2018 and apply to two streets in the city centre, ie sections of the road in the district of Altona-Nord, the 580-meter stretch Max-Brauer-Allee and 1600 meters Stresemannstraße (the ban only covers trucks). Truck and passenger vehicles that meet the emission standards from Euro 1 to Euro 5 cannot move there. The ban does not only apply to Euro 6 trucks and passenger cars. The police began to issue the tickets due to non-compliance on June 20. For this offense, the truck driver receives a EUR 75 penalty. After 7 months, the time has come to summarize and assess their impact of the ban on air quality. The number of nitrogen oxides on Kieler Straße, one of the main communication arteries of the city, remained the same (44 micrograms per cubic meter), whereas pollution at Habichtstraße in 2018 decreased by 5 per cent compared to 2017. However, the value of 55 micrograms per cubic meter is still well above the recommended maximum value (40 micrograms). 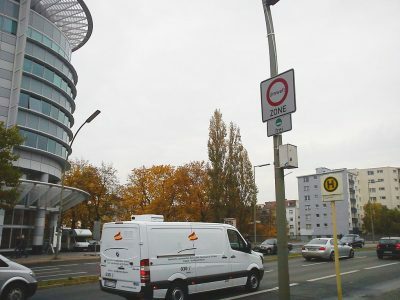 At Max-Brauer-Allee, the air quality did not improve at all, and the number of nitrogen oxides, despite the prohibition for older diesel vehicles, remained at the same level. The limit values were exceeded in 2018 in all four measuring stations. From our point of view, we can not talk about improvement,” says Manfred Braasch, managing director of the BUND environmental protection organization. As a freight forwarder, I say firmly: no, this is not a good idea! We lose drivers’ time because of detours. Considering the fact that the road will probably be very busy, traffic jams should be expected. It means both a waste of time and money for us,” that’s how Schulze answered when asked if the introduction of the ban in Hamburg was a good idea. Transport associations are also looking at the next ban on older diesel vehicles with concern. If the municipalities use the judgments of German courts as a basis for further traffic restrictions, forwarding companies, couriers and logistics, despite the modern fleet, will be able to carry out supplies for trade and city residents in a limited manner „- commented the DSLV association. – Stuttgart – the ban was introduced on January 1 this year and applies throughout the eco-friendly zone. It covers Euro 1-4 vehicles.